WHAT THE DEUCE IS THAT? Okay, so I think some of you might have seen this picture. It is from the Jet Propulsion Laboratory and it is making the internet rounds. 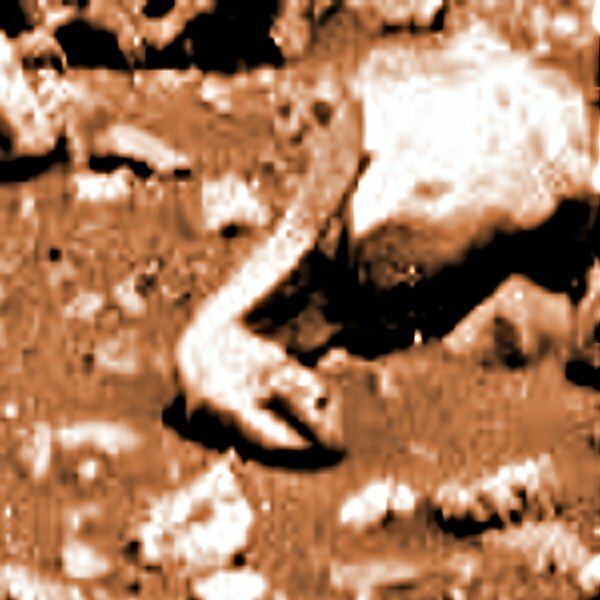 It was taken by the Mars rover Curiosity. I posted it on my Twitter and Facebook today. Uh, hello. That is really not supposed to be there, right? The only two explanations I’ve seen about this is A) It is a light vent or B) It is the glint of a rock. I’m not sure what a light vent is, but it sounds like a shaft that leads away from a source of light. Yeah, but that doesn’t really explain the light source now does it? 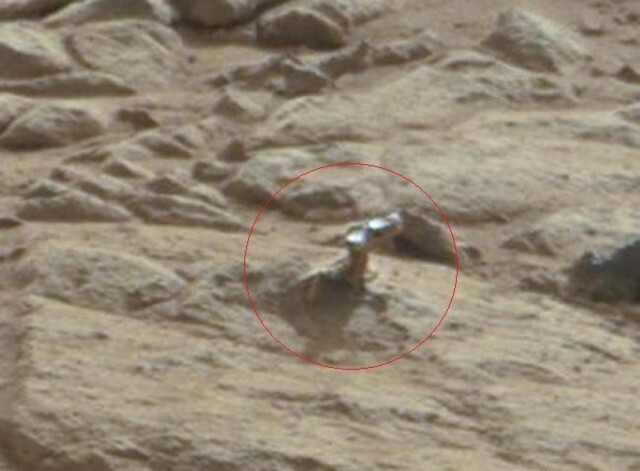 As to the glint of rock, that is a pretty big rock and it is a pretty refined surface, unlike what the rest of Mars appears to be. Since neither of those answers are really satisfying, I think we should be free to speculate. Two interesting observations were made on my Facebook page. One person suggested that it looked like a distant campfire. That is exactly what it looks like. Another person suggested it is the Nephilim in the Old Testament. That would be very exciting. 1. I predicted back in December that we would find “subterranean life on Mars.” Don’t believe me--click here to read my 2014 predictions. I was actually thinking of amoeba kind of life. I didn’t know we’d find them lit up like Christmas trees. 2. This may not be actual life on Mars. It could very well be left over metal or glass from the earlier human populations that traveled the galaxy. Maybe I’ve been reading too much Asimov lately. 3. 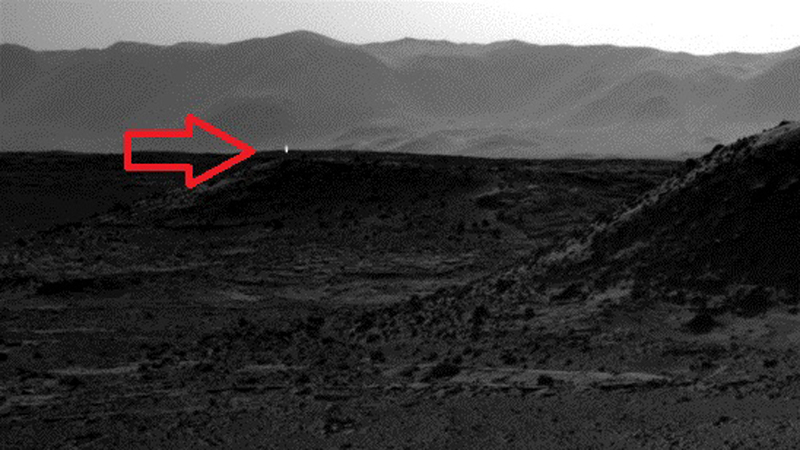 Of course it is hard to tell, but if I look at the picture above from the rover Curiosity long enough, it almost looks like a silhouette walking toward or away from the rover. By silhouette, I mean maybe a ghost. 4. Have you ever seen this picture? ENDOR WAS A MOON, RIGHT? Back in the old days of MySpace I used this as my backdrop photo. It is a NASA photo from the Moon. I know that light can play tricks on you, but it sure does look like a head, a mask, or a helmet of some sort, now doesn’t it? It has been named Data’s Head by some (a reference to a not so great Star Trek TNG episode) but it looks to me more like the real face of Darth Vader in Return of the Jedi. 5. As a theologian, I just want to remind everyone here that the Scriptures do not guarantee that life only exists on Earth. In fact, it is only logical to expect life on other planets just as there were humans on other continents. I actually don’t really believe in intelligent life outside of earth, but I don’t rule the possibility out. I am, after all, also a writer so things like this are just fun! 6. Back to the light playing tricks. I am not a betting man, but I’d be willing to lay down some serious green that the light is some kind of problem with the lens or dust or some kind of particle in the camera, so we shouldn’t get too worked up about it. Unless of course, we should. 7. 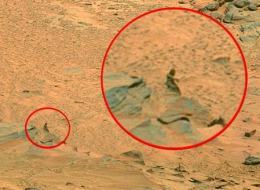 Don’t forget about the other weird Martian pictures, and I’m not even including the famous face on Mars. Or should I? A STATUE? A PERSON? BIGFOOT?